Astronomy is in a golden age. News media are constantly reporting about new discoveries from outer space and many Nobel Prizes have been awarded to astronomical findings and applications in recent years. Here the question arises why all that research is necessary and what is the benefit for us, the human civilization. In this article I discuss the link between space exploration and the progress of human society. I start right here, in our Solar System, and how current developments changed our understanding of our immediate space environment. Imagine believing something about yourself for many years. You’re comfortable, even confident, in who you are. Then imagine one day waking up to have others tell you “not so fast, you may not be what you think you are.” Your whole world changes in an instant. That’s sort of what happened to Pluto – what was once the ninth and farthest planet from our host star named the Sun – when scientists re-categorized the celestial object at the 2006 General Assembly of the International Astronomical Union (IAU) in Prague (Czech Republic). Now astronomers have discovered several other dwarf planets like Pluto, and they are even more remote and larger than Pluto. Moreover, astronomers predicted that there may be yet a probably real gas-giant planet beyond Pluto – the newly-named Planet Nine – which has been featured in news reports all across our host planet, the Earth. The simple answer is that the study of our universe is, in part, the study of ourselves. It’s the oldest science; we have been observing the night sky and wondering about what was out there, and what our place is in the world – since humans began walking on this planet. And not much has changed – just look around today and you’ll see just how much astronomy has impacted our lives. Use a GPS, either in your car or on your smartphone? How about a digital camera? What about your smartphone itself? All of those have their roots in astronomy – after all, without astronomy and the plethora of manmade satellites orbiting Earth, you wouldn’t be able to call your friends or relatives around the country or across the globe or get your GPS location. We use astronomy in agriculture; because without understanding the concepts of seasons, it is impossible to know when to plant or harvest; that is applied astronomy as well. So much of what we take for granted today got their start based on our thirst to study the heavens. Over the past few years there has been a renewed emphasis placed on Science, Technology, Engineering and Math (STEM) education. More than ever, we need more students to have that inquisitive fire lit inside of them so they can become tomorrow’s scientists and researchers. Imagine where we’d be without Galileo Galilei, Albert Einstein, Stephen Hawking, or Carl Sagan, to name a few. These giants were into STEM before STEM was STEM – and the stars provided the fertile ground that helped humankind take tremendous leaps forward. While much more must be done to determine the status of Planet Nine (e.g., can it be observed, is it a captured, previously free-floating, rogue planet? ), the fact is we have scientists and researchers working to do exactly that. That’s what makes astronomy/astrophysics – and scientific research – so amazing: every time there’s a new discovery, it raises more questions than it provides answers. Being explorers is what humankind is all about – and it’s what continues to fascinate us to this day. So when you hear that Pluto has had its designation as a planet taken away or that there is a new Planet Nine out there, it may be a quick story on the evening news or a message on Twitter, but it’s really a little bit deeper than that. Science is ever-evolving, and with each new discovery we learn more about ourselves in the process. Planet Nine is another step in the scientific process – something that has amazed students for thousands of years, and with a renewed focus on STEM education, it will continue to amaze and inspire us all in the 21st century. So welcome, Planet Nine, to human discovery – and please give our regards to our dear friend Pluto. 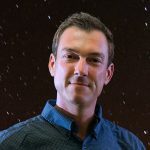 Dr. Stefan Kautsch is an Associate Professor of Astronomy and Physics at Nova Southeastern University in Fort Lauderdale, Florida. Stefan is an active researcher in astrophysics and has published multiple research papers. He is also actively engaged in both school and community projects that promote astronomy and science.